Today Jess has a sweet little tribute to the father of the stage, mister Billy Shakespeare. She also found a charming video about a few of Shakespeare's words that failed to catch on… You'll never guess what a kickie-wickie is! His 37 plays hath been performed for a mere four hundred years. Many a man hath laughed his stitches out and watched with bated breath as Ophelia sang chants of old lauds, as one incapable of her own distress. Countless fair maidens have swooned as Romeo didst compare Juliette to a bright angel. My dear cousins, zany as it may seem, on restless midsummer nights when I’ve not slept one wink, I doth relish reading Shakespeare’s works. Methinks it is such stuff of which dreams be made on! And all the more to gaze upon a stage alive. But what the dickens didst I learn when I perchanced to read of my dears’t Sirrah from the pages in mine own library? 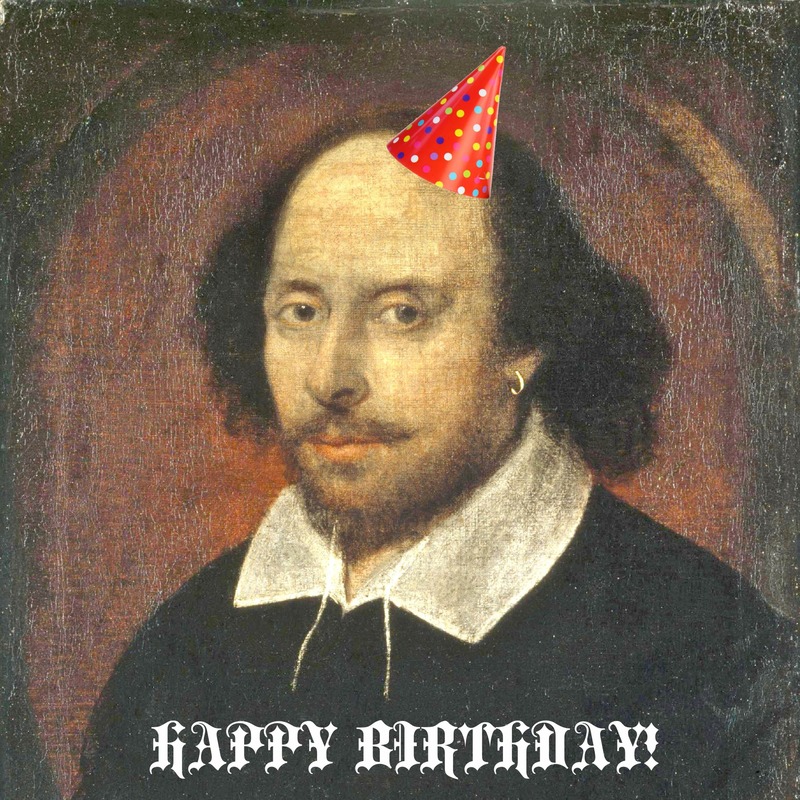 Tis true, our beloved English playwright turned 450 years of age on April 23, 2014. Methinks ‘twas strange that on that very same day of his birth, after he liveth a mere 52 years, his life had come full circle, and he was foundeth dead as a doornail! I was rather bedazzled by this fact. That is the long and short of it. Happy 450th, dear Shakespeare! Want to elevate your engagement? Join us for an upcoming Live Video Masterclass!